Engines Off! 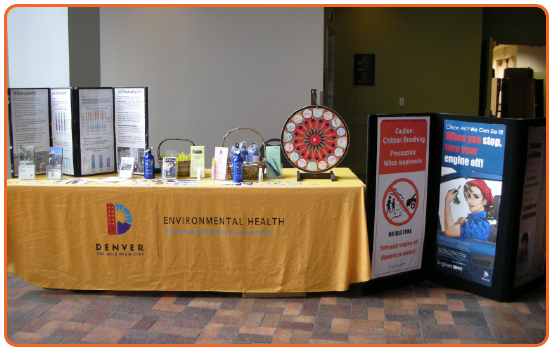 Denver has conducted focus groups when implementing pilot idle reduction campaigns. Participants support the research findings that different messages and information sources are necessary to motivate different drivers to turn their engines off. For example, parents responded to information about the dangers of vehicle emissions delivered by a trusted community champion or public health organization, such as the American Lung Association in Colorado. On the other hand, commercial diesel truck drivers were more likely to be influenced by messages about saving money through reduced fuel and maintenance costs from equipment manufacturers, such as Ford Motor Company or Cummins. Therefore, a successful idle reduction campaign should be a diverse collaboration of governments, nonprofit organizations, transportation organizations, and community members to address the full spectrum of drivers.